Someone special makes you smile? 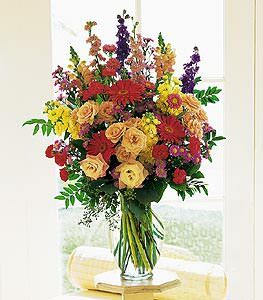 Send this impressive array of colorful flowers, and theyll smile right back. Roses, carnations, gerberas, asters, stock and larkspur arrive in an 11 tall glass vase.